Several weeks ago the NY AIA held a symposium on designing spaces the contribute to healthier living. Lots of great research and precedent to support their Active Design Guidelines. 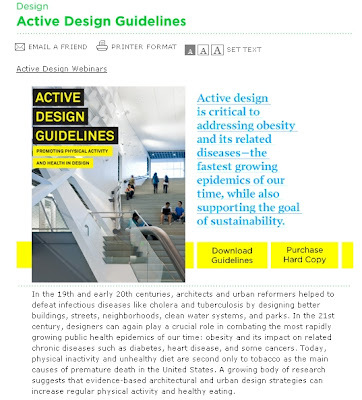 Link to active design guidelines for urban spaces and buildings here.